I'm always looking for ways to speed up my website and make it load faster for the visitor who is connecting to it. Webmasters can use a lot of services to determine the connection speed of their website and most optimize images which seem to be the biggest files on most websites these days. I was researching a Firefox hack that would reduce the amount of memory Firefox consumed when it occurred to me that my Firefox browser was using way more memory than the Firefox of a friend who told me about the hack. It did use about 55 Megabytes of RAM without any website loaded while the version of my friend did only use 40 Megabytes. Many users save their passwords in Firefox so that they do not have to enter it again when visiting the website it was saved for again. Firefox remembers the password and enters it automatically if the user selected this option on his first visit. This is great for us lazy users but poses the problem that we sometimes can't remember the password when we need it again. Firefox automatically adds a print header and footer when printing websites which is something that most users do not want. By default, page title and URL as well as the page number and time / date are added to each page that gets printed. It is not that obvious but it is possible to customize the printout. Every blog does it. Google does it. Many newspapers and web magazines do it. Ebay does it. Amazon does it. All have their websites divided into pages. If you take Google for example they divide the search results on different pages. Magazines divide their articles into chapters that generate more page impressions and display more advertisement at the same time. It is possible to install Firefox add-ons for all users that use a computer instead of installing them for every user separately. This is helpful if you are the computer guy in the family for instance and want everyone to have a basic set of extensions enabled that add functionality and security to the accounts. Uploading files to websites like Youtube, Flickr, Facebook or Picasa is not really that comfortable, especially browsing your computer and selecting files works really bad. It is for instance not possible to upload files from more than one directory at once. Most websites limit the amount of files to ten and do not display a proper progress bar that explains what is going on at the moment. If you use Firebug and visit Gmail you receive a message "Firebug is known to make Google Mail slow unless it is configured correctly" which was not known by me. Google suggests to disable Firebug for the Google domain completely which should not be a huge problem normally. A url that is not linked on a website, like www.ghacks.net can not be clicked on to load the website. The user has to copy and paste the url into the address bar to load it which is highly uncomfortable. A way to get past this would be to install the Text Link extension for Firefox. The Firefox add-on Fancy Numbered Tabs replaces the red X with numbers. Replaces is probably not the best term for this because the X is still available if you hover your mouse over the number. You might wonder why numbering the tabs could be useful, let me explain. 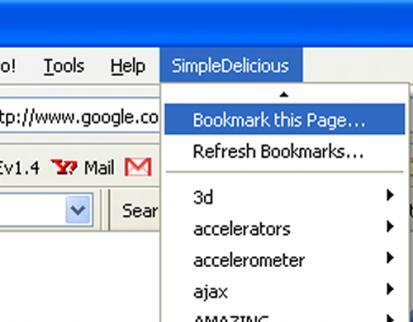 Simple Delicious is a Firefox add-on which displays a users delicious bookmarks in Firefox. We all know that it can be quite useful to use a service like Delicious to store all of your bookmarks on the web to be able to access them from anywhere. Webmasters use this service as well to promote links from their own websites. The Add Bookmarks dialog windows is not really the best example of usability in Firefox. The default window just shows a 'Create in Bookmarks' folder and the user has to click the down arrow to expand this menu and display his folder structure. If you like your things organized you probably have created a rather large folder structure in which you place your bookmarks. Firefox by default has a so called auto complete feature which searches for urls that have been typed in or accessed in the past when the user begins to type a url. While this feature is mostly a time safer it nevertheless begins to pile up a large amount of urls which make the process rather messy. Price Drop is a Firefox add-on that gives the user the option to track prices for selected items at the Amazon.com online store and notify him when the price drops. Besides keeping track of prices drops at the Amazon store it also notifies you if the price dropped after purchasing the item which helps getting a refund for the item that you bought because of the lower price. 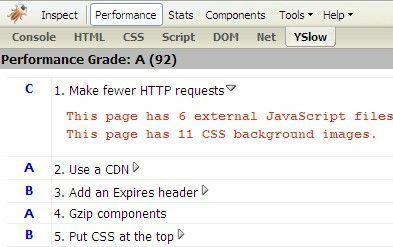 In theory websites can use your browsers cache to determine if and when you visited another website. 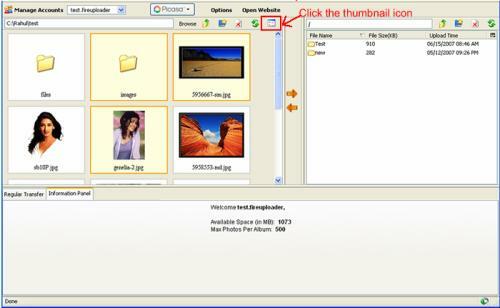 To do this a website would simply have to know which images, or other files, are used on the website that is probed. So, if image test.jpg is loaded from the cache instead of the second website it is safe to assume that the user has been visiting the first website as well. While I'm not using the sidebar in Firefox at all I know some users who really love it. The sidebar however has some limitations and the following tweaks are supposed to get rid of two limitations. The first tweak is going to remove the width limitation of the sidebar while the other one moves the sidebar from the left to the right side making it easier to read the websites that you are on. The location bar, or address bar, in Firefox displays the url of the website that you are visiting. The website is normally displayed without dashes and contains the protocol, the subdomain, the domain name and the path. A less confusing way especially for novice or insecure users would be to divide the url into different parts. Firefox just appends a new bookmark at the end of the folder that you saved the bookmark into unless you drag and drop the new bookmark into the location. This makes it rather difficulty to search through your existing bookmarks because you have to remember when you added the bookmark as well if you have a lot of bookmarks saved.